It’s no secret we love retro games, and we do our best to actively try and promote new retro-inspired releases. Some may end up feeling very dated, at least by today’s standards, but there are still a hefty amount of developers out there who develop cartridge based games for actual old school consoles, such as Nintendo’s NES, Sega’s Mega Drive (Genesis) and several more. This time we got lucky and were able to dive in a Zelda-like game, The Legends of Owlia, which certainly felt like a blast from the past not only in terms of graphics, but gameplay and story as well. We tried to see how the original game would hold its own against the many classic titles on the NES’ library, as well as try out the Steam version for those why might have gotten rid of their old console. The land of Owlia has been a peaceful place for about 80000 years, but the world’s deities, legendary owls, have grown lax and thus they averted their gaze from Mermon’s territory, the vast oceans. While Mermon never truly showed any hostility, he finally decided that his watery domain would no longer cut it, and thus he decided to imprison the owls and take the mainland to expand his already enormous territory. Overall the story content is fairly slim, safe for the small dialogue you’ll get when rescuing one of the owls, who will pretty much just state what skill gets unlocked next. Nonetheless, the basic plot works quite well for this title. Graphically it’s clear that the game stays within the boundaries of Nintendo’s 8 bit console, thus you’ll be treated to fairly simplistic, yet good-looking sprites, that may not always be as varied as you’d hope, but still manage to pull off a very authentic retro look. The world itself is very colorful, and there’s a reasonable amount of different sceneries to behold and plow through during your arduous quest. Movements and attack animations are portrayed in a fairly fluent and smooth fashion, which makes this game feel like one of the better NES titles, which is certainly an important aspect to attract younger gamers to a very old console, or those who’d rather play the game on PC. 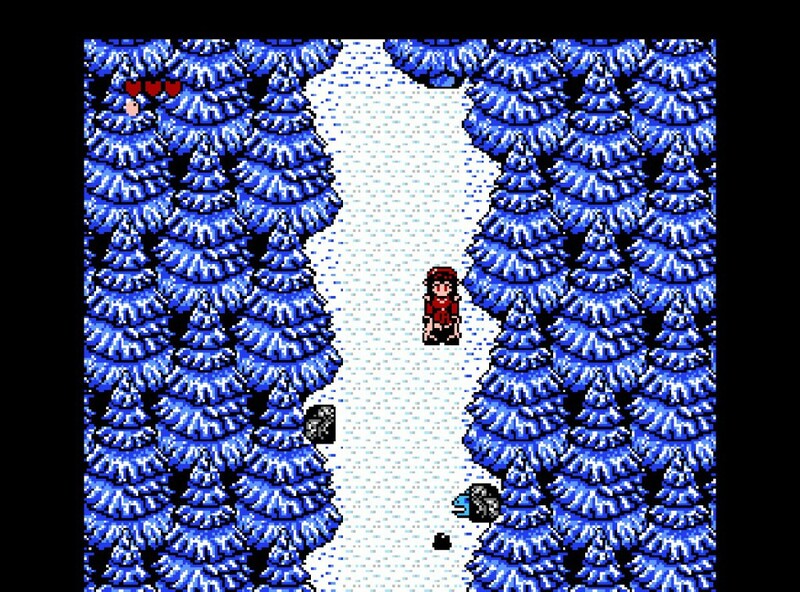 Overall, the game may look like a real 8 bit title, the overall fluency shows that it’s a more modern game. Rather typical NES era tunes will be blasting through your speakers, and they perfectly suit the setting. You’ll never feel as if these tunes have been made by a ‘small time developer’, rather than a professional studio such as the ones behind the production of old school NES titles. The music is rather captivating, serious when it needs to be, but also lighthearted to break the otherwise heavy atmosphere of the game. The Legends of Owlia goes back to basics for the adventure genre, making the game quite reminiscent to the first The Legend of Zelda. Nonetheless, this top-down adventure throws in a hefty amount of original ideas and mechanics, to create a diverse experience, which still feels strangely familiar. You’ll be running around this 8bit universe, crawling through dungeons, unlocking new abilities, and saving the world from evil. 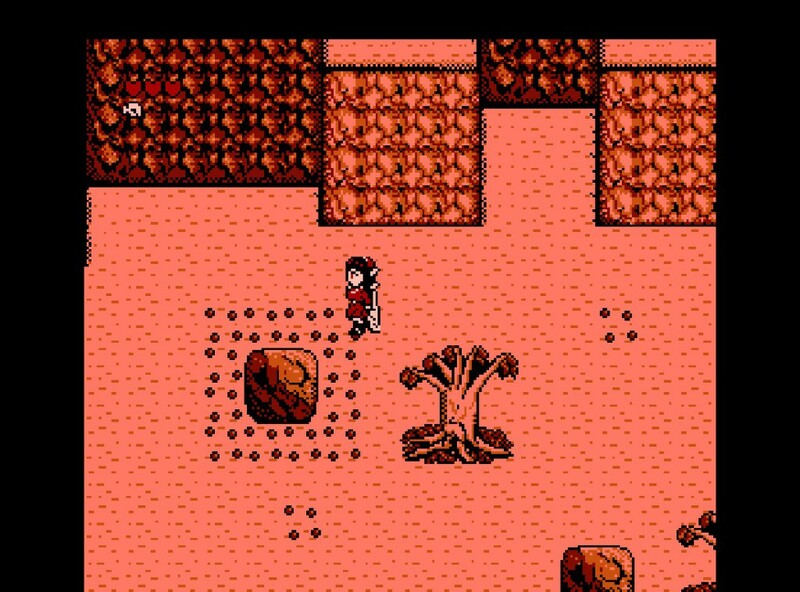 Overall, the game follows a rather typical formula, namely, you’ll have to rescue all of the captured owls, which is then followed by a final showdown. Nonetheless, the game is rather short, but it lengthens the gameplay experience by forcing you to collect enough money, before a dungeon opens its doors for you. The latter isn’t as tedious as one might think, as you can collect the money rather easily, and this way the game forces you to explore a bit, rather than run from one dungeon to another. 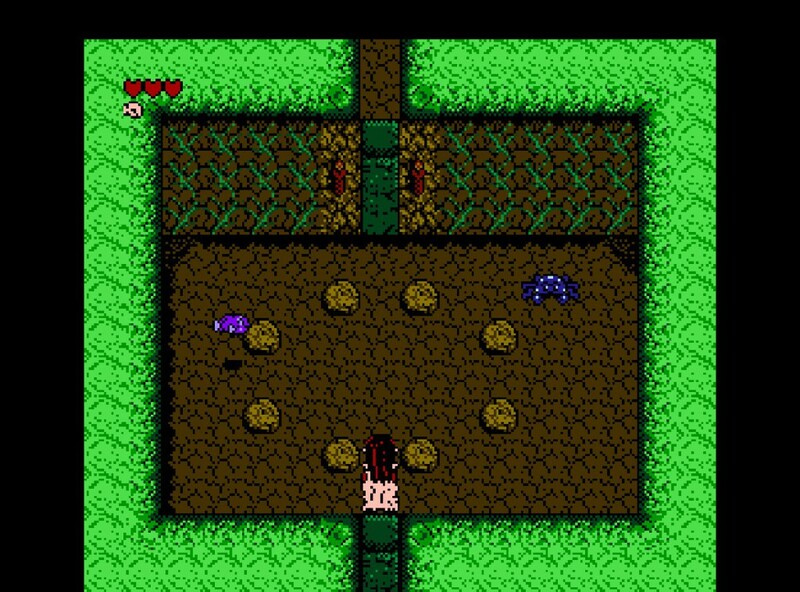 The dungeons themselves consist out of many different rooms, very much like older Zelda games. Luckily many rooms are as straightforward as the rest of the game, a certain amount of puzzles are rather annoying to find without a walkthrough or another form of help. More than often, you’ll have to kill monsters in a specific order, in order to get the key needed to progress further. If there were in-game hints to point out certain sequences, it would have been a lot easier to tackle some of the obstacles. That being said, the game is still worth the hassle, safe for the last owl you’ll need to rescue. The developer decided it was a good idea to replace the dungeon format with a mini-game setting in a pirate bay. Again, this doesn’t sound as bad as one might think, but the games you’ll need to complete to grab the much needed cash are annoying, not only due to the fact there are only two different ones, but also because one is way too hard, and the other one is completely dependent on luck. We decided to redo earlier levels, gather enough money and skip this portion of the game altogether. 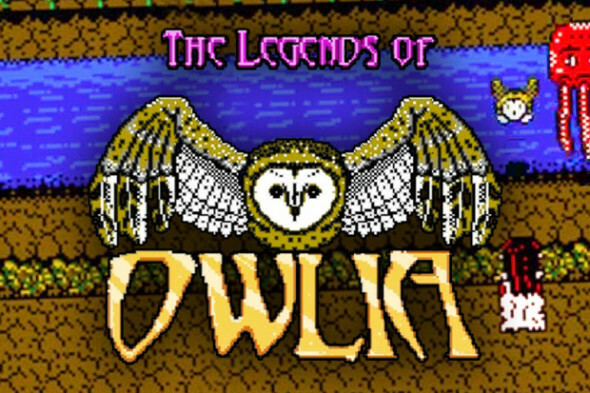 The mechanics of The Legends of Owlia are rather interesting, as you’ll mostly be running around throwing your owl at things. While you have a sword, you’ll more than often use your own for combat, picking up items, tossing bombs, transporting you over obstacles and so on. This means that you’ll constantly have to switch between your skills, which is done in a Zelda-like fashion, namely you can actively equip two skills, and if you want to equip something different, you’ll have to do so in the menu. Overall this works fairly smooth, but it would have been great if the active skills limit was upped to three, as you’ll often need one or two basic skills, and one specific for the region you’re in. Controls on both platforms, namely NES and PC both feel limited, but modern enough to please younger gamers. While the NES version, with the original controller, is rather limited for the many ranged battles you’ll be having, it’s still very manageable after some practice, and when you finally realize that diving into battles isn’t the smartest thing to do. PC controls depend on if you’re going to play with keyboard, or a controller. Both have their merits, but if you bind the directional controls to a joystick, the movements feel a lot smoother than on Nintendo’s old school console. That being said, the menus on the PC version are not that user friendly, as they don’t take into account the key bindings of your controller, thus you’ll have to switch between controller and keyboard more than often, simply to boot up the game properly. Games like this are what makes it fun to see what developers are able to achieve within the limited capabilities of nearly ‘ancient’ hardware. 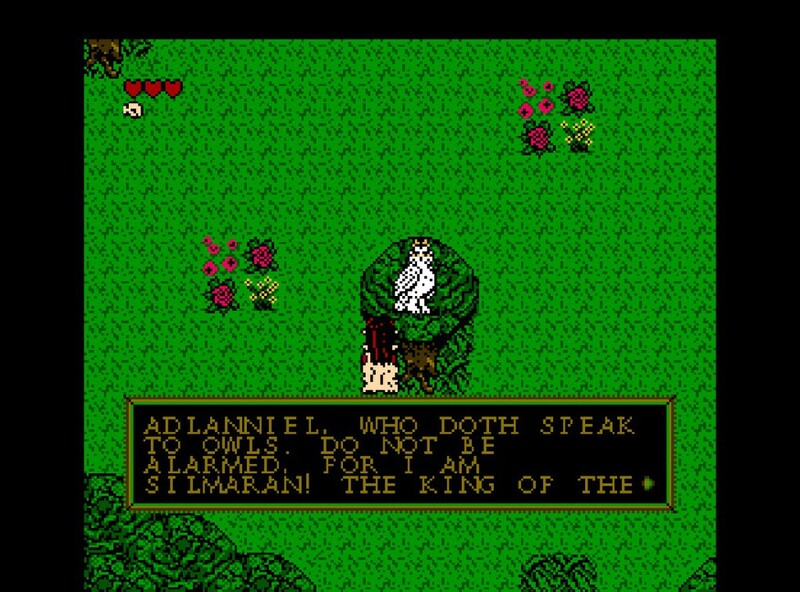 Even though the game might not always be picture perfect when it comes to the controls, The Legends of Owlia is a fun title for those who still have a NES lying around, or those who wish to play something from their past on Steam. With a few original twists and turns along the way, this Zelda-inspired title is certainly worth playing through, not only thanks to its flashy and original combat, but also for its visuals and atmosphere.